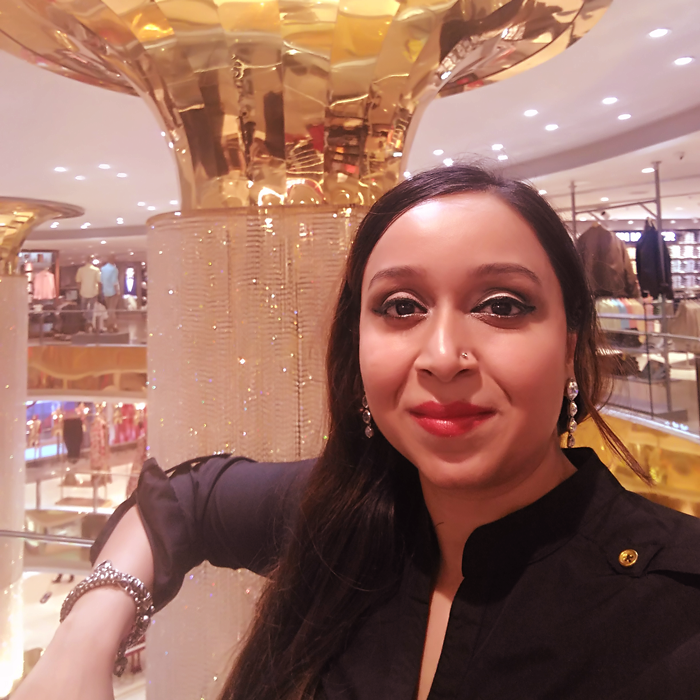 I was recently invited to the launch of Aerocity central which the new Mega Shopping Space in Delhi located at World mark 3, Aerocity Mahipalpur, Near Indira Gandhi International Airport owned by Future Group. Yes, they also own Big Bazaar!! The inauguration was held on Thursday, 15th September by The CEO of Future Group itself Mr. Kishore Biyani. 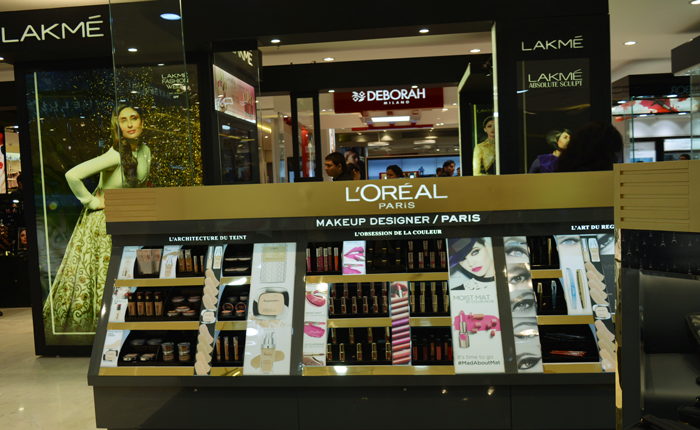 With a lamp lighting ceremony, the doors to this hi-definition shopping space were opened to the public of Delhi. As it’s just a few minutes away from the airport, our guests from overseas can do their last minute shopping before they catch their flight back to their country. Isn’t that exciting!!? 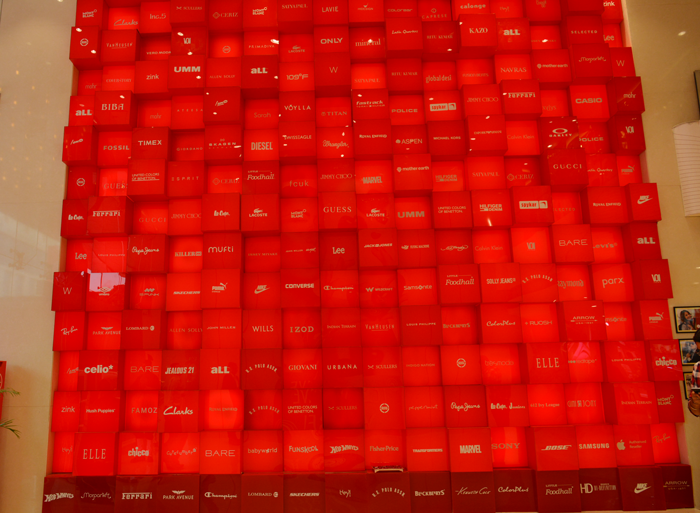 The moment I entered the mall, I saw a huge wall that listed all the brand names. I couldn’t believe that so many brands are available under one roof. I could not take my eyes off from beautiful gold toned interiors, as it looked more similar to a luxury hotel lobby with crystal pillars! 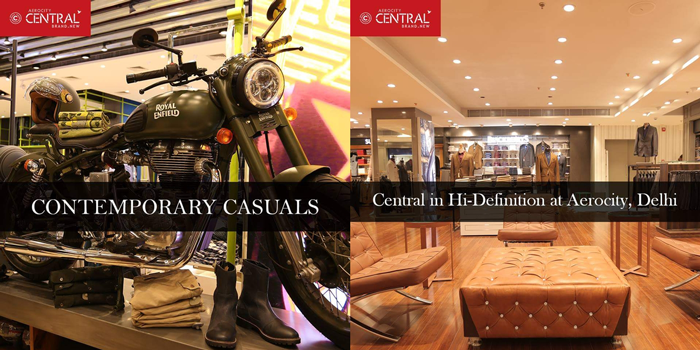 Aerocity Central is surely setting standards and living up to its tagline “Experience fashion in Hi-Definition”. One of the biggest Shopping centers in the country with spacious built-in area of 1.5 million sq. ft., Aerospace Central is exquisitely designed for retail space, multilevel parking for approximately 3000 cars, Wi-Fi Zones and food court. 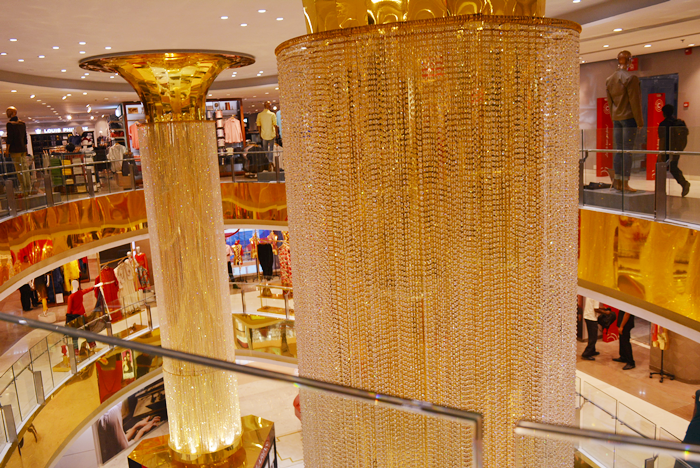 Two pillars in the center are made out of crystal ropes connect from the ground floor to the terrace of the mall. There is ample amount of LED lighting that you cannot miss out on any brand! Experience live piano music on the first floor while shopping at the best cosmetics and fashion brands in the country. They have a huge section dedicated to cosmetics but I also adore shoes, clothes, jewellery, toys and almost everything they sell. The place is visually stunning both inside and outside! 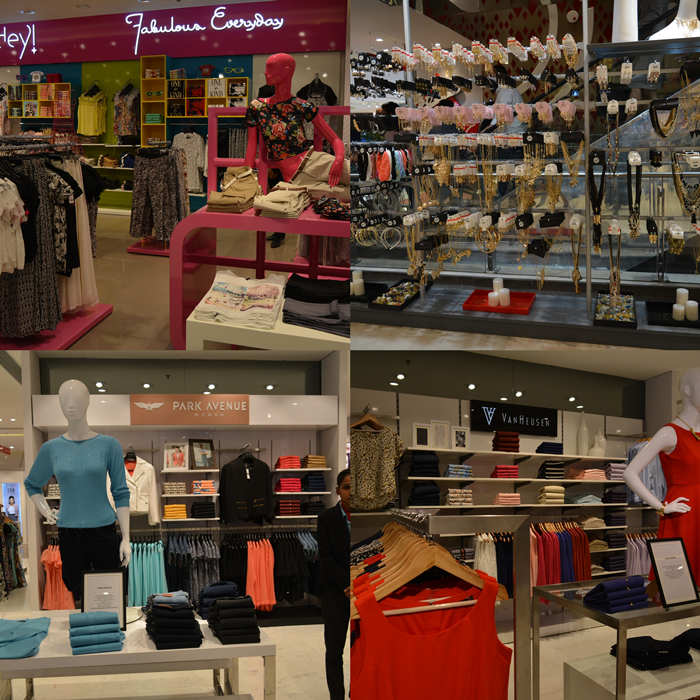 I must say that I was very lucky to be invited to take a peek and find out the brands available at the new Aerocity Central. 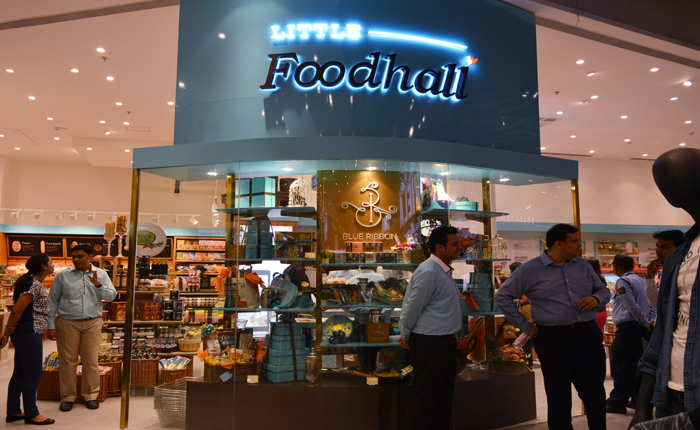 I looked around the mall and I saw delicious snacks being served to welcome the guests, how nice!! 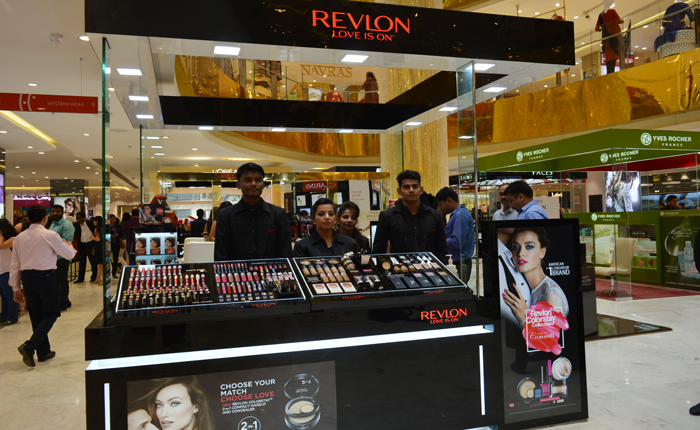 The Revlon kiosk caught my eyes first. 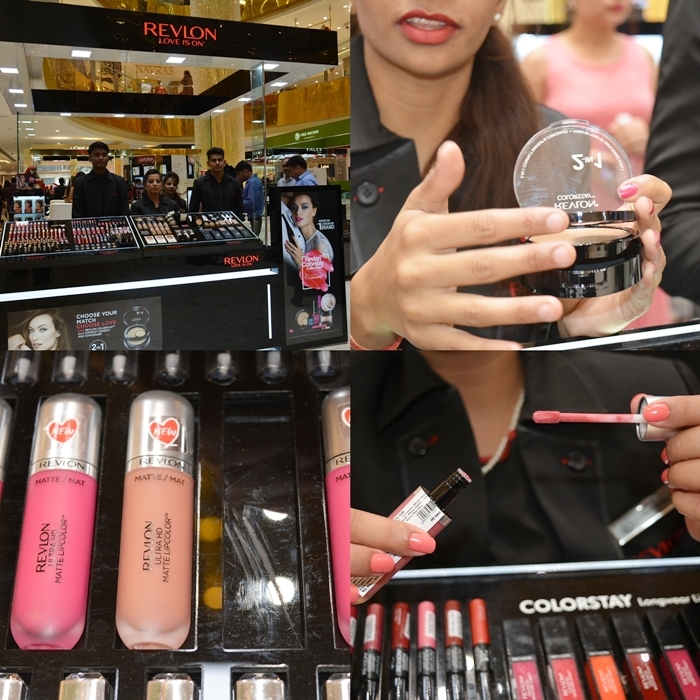 I spoke to one of the representative and she introduced me to their new collection of “New Revlon Ultra HD Lip Colour” and “The New Two- in-one Makeup and Concealer which you can carry while travelling”. I really liked their Ultra HD lip colour collection. 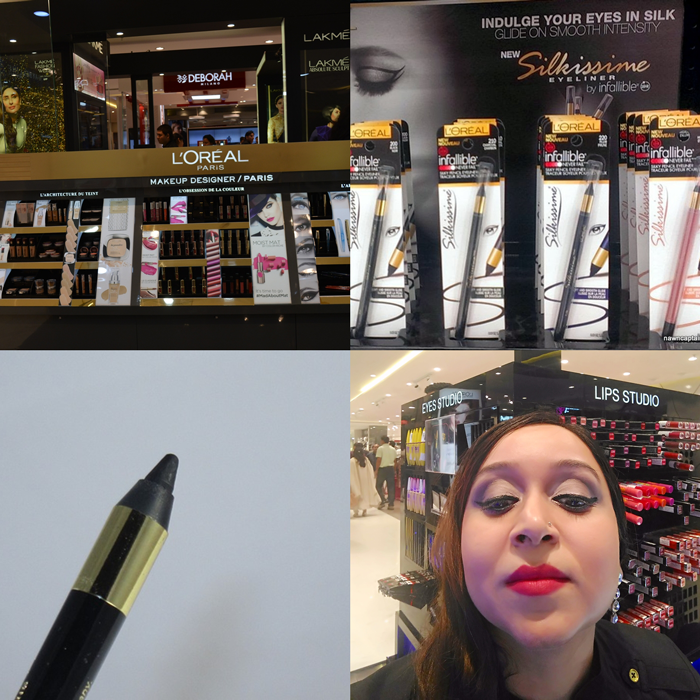 I could not take away my eyes from the L’Oreal Store. I enquired their beauty representative on what’s new. 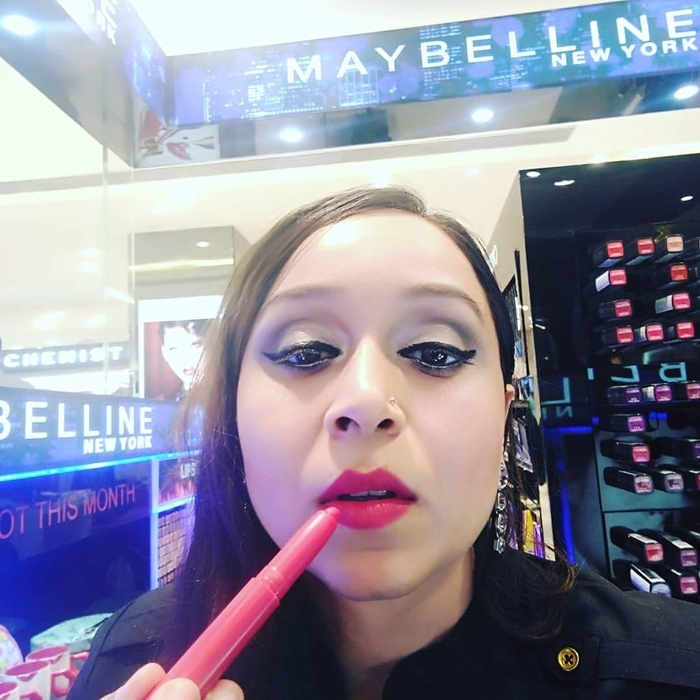 She introduced me to “The New Silkissine Eyeliner” available in Six Colours (Black, Brown, Blue, Turquoise, Silver and Gold). I was in great need of a new eyeliner pencil and this one fit me like a charm. I fell in love with the eyeliner instantly. I have very sensitive oily skin and this eyeliner gave me a jet black eyeliner look in one stroke; L’Oréal has definitely lived up to its standard once again. Yes, it defined my eyes in hi-definition! I also loved “The New Colour Riche Smokey Eye Pencils” with purple smoky and glitter effect. But unfortunately it was out of stock. You can apply Silkissine eyeliner on both upper and lower lash to create a lot of drama to your eyes. It does not smudge easily and creates lovely eyes in hi-definition! The L’Oreal Colour Riche Eyeliner can be smudged easily to create to Smoky eye effect. 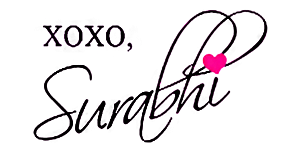 I personally loved the Purple – Violet one and it is also available in multiple colour choices. Maybelline and Deborah Lipmann was my next stop. 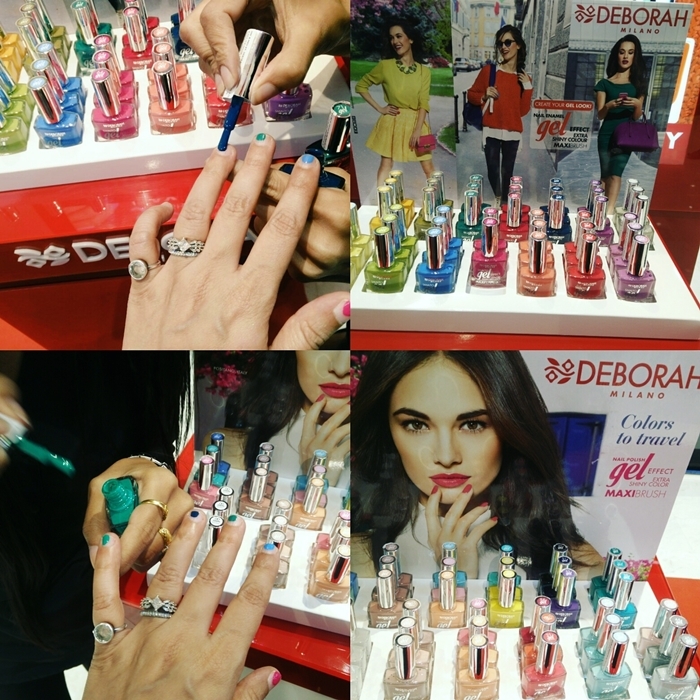 I loved the newly launched lip colour pencils and the gorgeous nail paints at Deborah Lipmann. Sally Hansen was my favourite store in the entire mall. For the first time I saw the entire collection of Sally Hansen in Delhi at very affordable price. Generally if you wish to buy a Sally Hansen nail polish remover, you need to pay Rs 800/-. But here at the mall it costed me Rs 250/-. Wow! They have better collection of Nail care than any other store in Delhi. 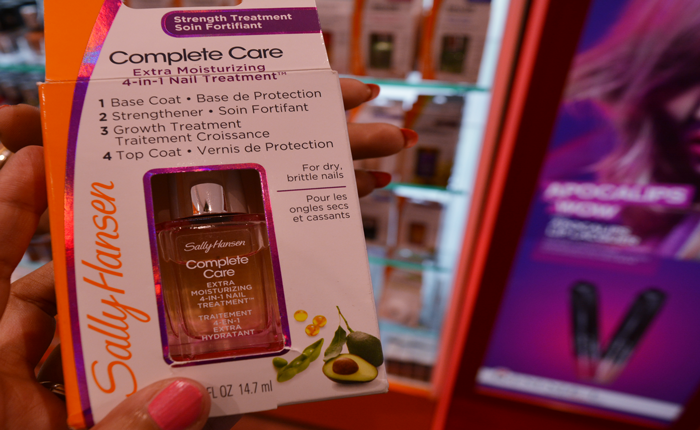 Sally Hansen - "Complete Care" Excellent product for my Brittle Nails! 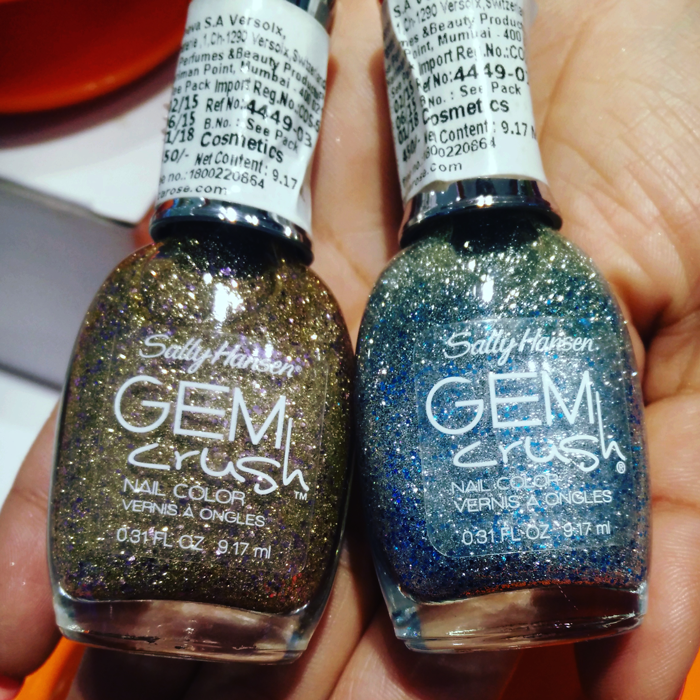 Sally Hansen - "Gem Crush" Nail Colour A Must have for Christmas and New Year Celebrations!! 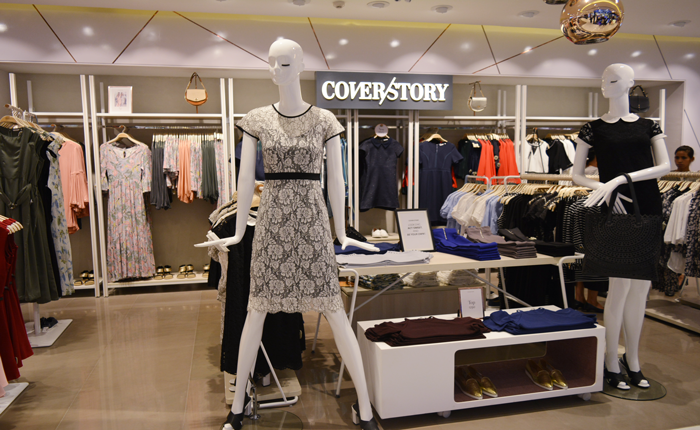 Casual and formal wear for women is available on the ground floor. 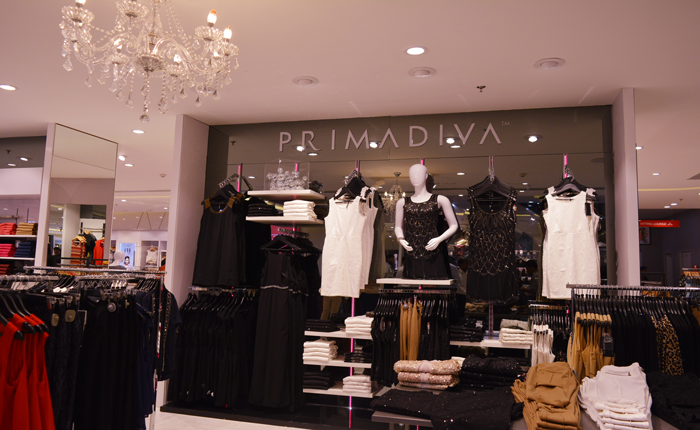 The first floor houses big brands like Biba, Cover Story, PrimaDiva, Van Huesen etc. Multiple options in jewelry and women’s wear are available here. 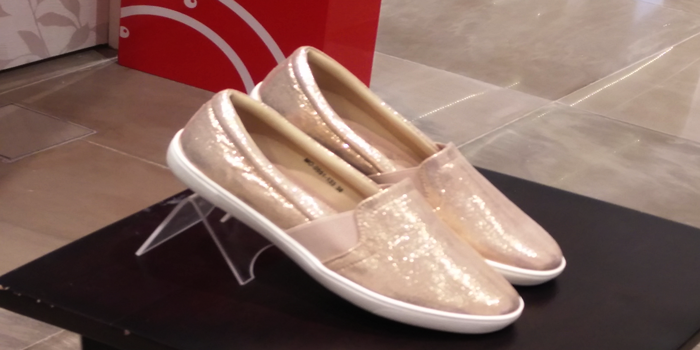 Lovely, Golden Glitter Shoes, Get Ready for New Year Party!! In case you feel a little hungry or thirsty, there is a small food hall there at the basement where you can buy snacks, ready to eat or just order for fresh meal on the counter. Soda and refreshing natural juices are also available. Groceries and different types of breads like croissant are also available here. 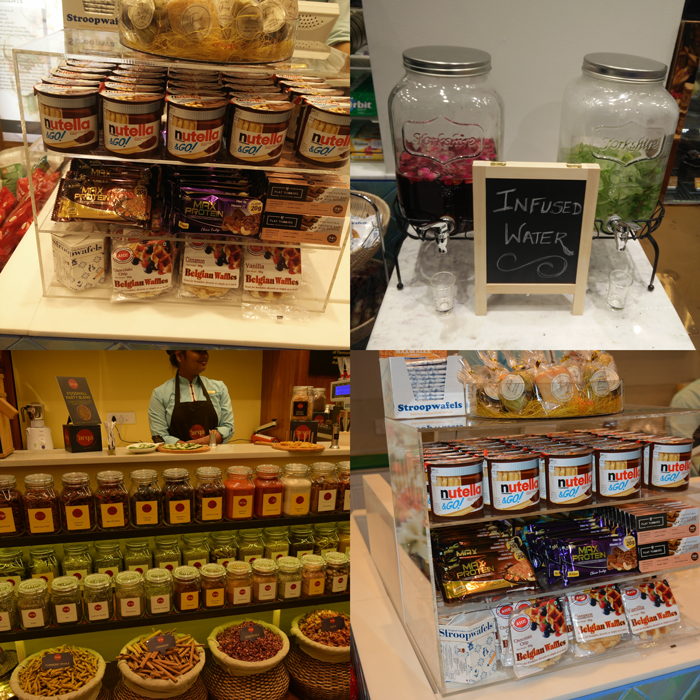 You can even purchase fresh spices / different types of tea at the counter. In case you want to buy something for men, the second floor is full options with big brands like Gucci, Ferrari and Royal Enfield collection etc. Experience Hi-definition fashion for men and if you wish to buy something for your little one, then there are the best brands in the country available for them as well. 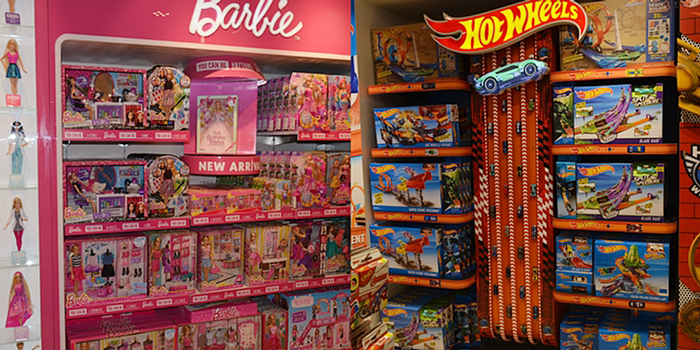 You can even buy toys for them from the top brand outlets. I really enjoyed my experience in Aerocity Central in hi-definition. It totally is one of a kind shopping space with everything under one roof, located near the Indira Gandhi international Airport. It will soon become the one last pit stop before you catch a flight. 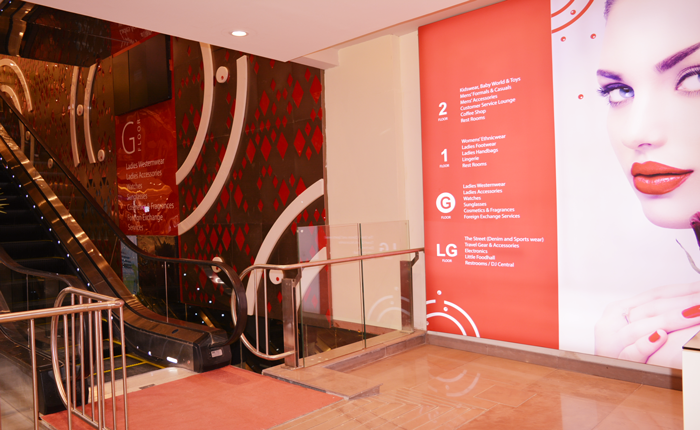 Yes you can shop at duty free, but it will never match up to the experience you have at Aerocity Central. After my shopping spree, I was even treated to a lovely lunch at the Pullman hotel. Wow! Thank you. 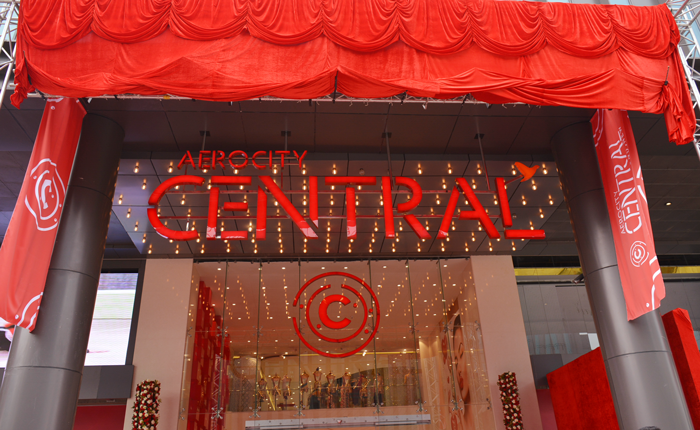 So, what do you think of Aerocity Central? Are you a fan now? Will you be visiting their new shopping space soon? Don’t forget add the location of this store in your Little Black Book and don’t forget to shop till you drop!